Fr. 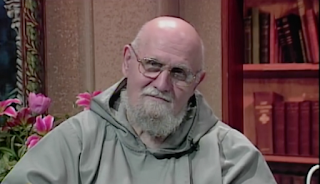 Andrew Apostoli, a fan favorite from EWTN and co-founder with the late Fr. Benedict Groeschel of the Franciscan Friars of the Renewal based in the Bronx is facing his last days on Earth. He is suffering from cancer which has taken a toll on his body. Many remember father as a chunky, jovial and humble priest. While he is still jovial and humble, he has lost a lot of weight lately. Please continue to pray as he prepares to meet his Lord. On this Solemnity of the Immaculate Conception, may our Lady watch over Fr. Apostoli and welcome him into her Immaculate Heart. We love you Fr. Apostoli!